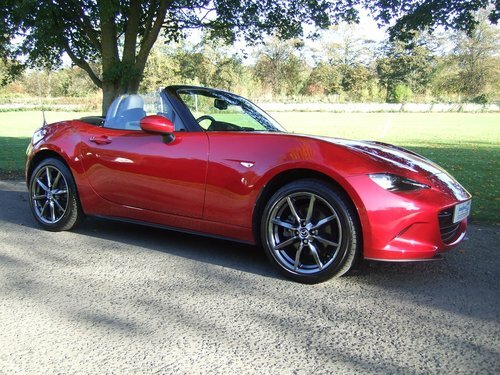 Recently arrived with us and now on display in our Showroom, We are delighted to offer this fabulous looking MX-5 for sale! 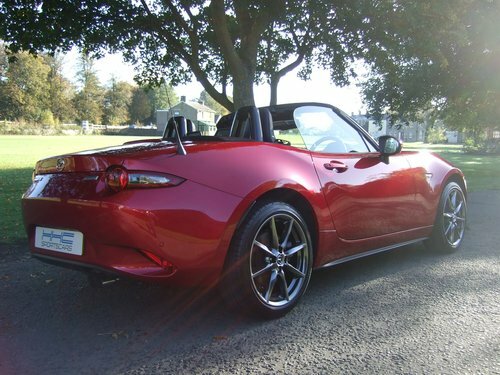 Finished in this stunning colour of Soul Red Pearl with Anthracite Leather Trim, Red Stitching,Black Hoof and Carpets. 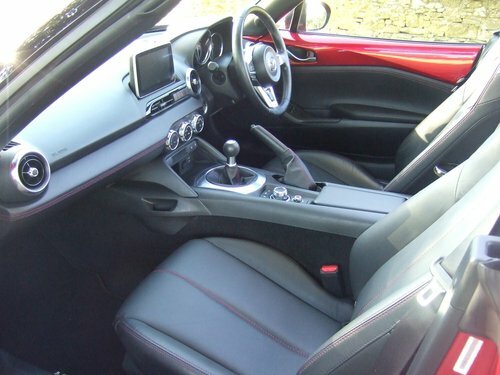 Fitted with all of the usual Sport specification including Anthracite Alloy Wheels, Leather Trim, Heated Seats, Cruise Control, Air Conditioning, Sat/Nav, Bluetooth, Bose HiFi, etc. 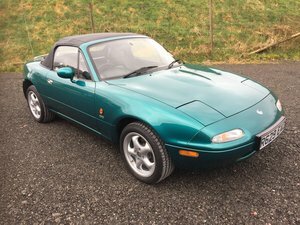 Registered new on 25/03/16 and then going to its lady owner on 09/04/16! 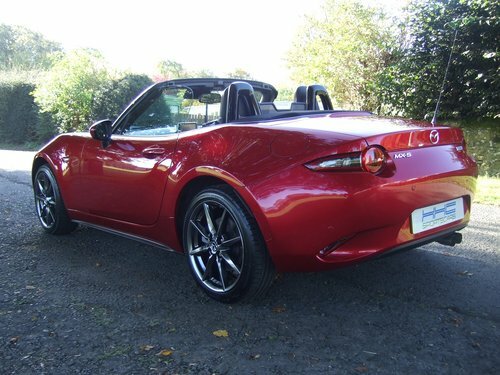 Serviced by the supplying Mazda Dealer on 27/03/17 and on 03/04/18 and carrying the balance of Manufacturers Warranty. 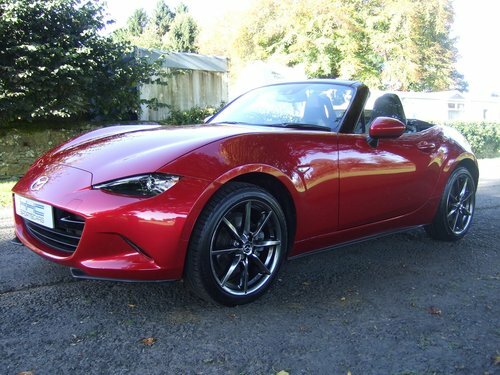 Just 8,500 Miles from new and ready to be enjoyed by its next enthusiastic owner! 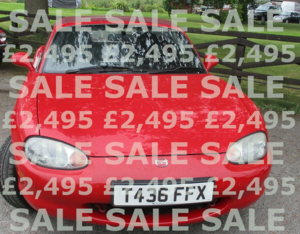 We will fully prepare and service this car prior to sale. Part-exchange, warranty and finance facilities all available and please don’t hesitate to contact ourselves for any further information. 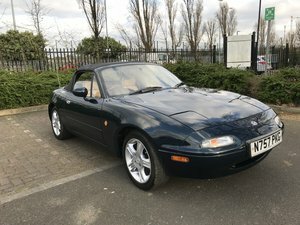 ull Mazda History & Only 27,000 miles. 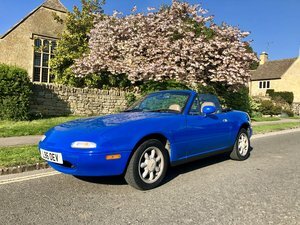 Extras include: 5 Spoke Alloys Chrome Hoops Stainless Steel Exhaust 2 keys Isofix Multi-Function Steering Wheel Piano Black Dashboard Electric Boot Release New Tyres.